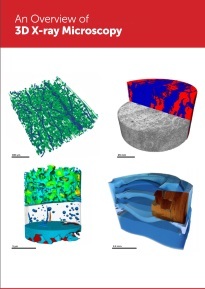 Wiley has published an ebook on X-ray microscopy with text written by JES Editorial. Entitled An Overview of 3D X-ray Microscopy and sponsored by Zeiss, the ebook provides an introduction to X-ray microscopy and its capabilities, with a focus on Zeiss’s Versa and Ultra ranges of X-ray microscopes. The ebook also contains embedded video interviews with five scientists about their use of X-ray microscopy for studying a range of different materials, from advanced polymer composites to batteries and fuel cells to tiny crab parasites.